Maura’s been in a mood. I thought maybe it was her being overtired, or, you know, puberty. That’s sort of my answer to everything and everyone these days – puberty. But yesterday, her mood turned quite tragic, and I didn’t know why. She didn’t want to get off the bus (weird for her.) She started sobbing, and couldn’t tell me why. Then there was screaming. Not mad screaming – upset screaming. I worried that maybe she was coming down with something and grabbed the trusty ear thermometer. “Here, let me check your ears.” I said. Okay, that is NOT how it ever goes. The idea of me checking her ears freaked her out. But I managed to check one – 98.1 – and went to check the other when once again, supreme freak out. A light bulb came on. I peeked at the ear. There was something in it. Now, something in her ears is not new. I grabbed the tweezers and used the flashlight on my phone and said that first, I was just going to LOOK in her ears. I figured out what was in the ear. Explained that this wasn’t going to hurt. Pulled the item out of her ear. “OH!! MY EAR!! !” she cheered, and allowed me to “fix” the other ear as well. So, what was in her ears? These. In case you’re curious, they’re the silicon ear buds of a set of headphones. The last time I saw Maura with headphones of this style was Saturday, when she found the pair in my room and walked off with them. So these could have been in her ears since Saturday – which would explain the weird moods. It would be easier if she could say “Mom, my ears.” But that’s still an emerging skill. We’ve gotten quite skilled with pulling stuff out of Maura’s ears. One time, she stuck corn in her ears. Took three days to realize it, and we had to use a medicine syringe to flush out the corn (the doctor was impressed with how we managed that.) Still, she ended up with an ear infection – because yellow corn, no matter how lovely, does not belong in ears. After that incident, my mother-in-law sent me a gift of “I think you’ll get a LOT of use out of this!”. She may have been laughing. But it was true – I have. From Amazon – totally worth it, highly recommended – you can also see what they stuck up their noses with this thing. This is why I do random ear checks on Maura. Because this. Yet another skill that’s useless on a resume. We never had to visit the ER with DC until he was 21 – and the ear bud was the reason. He had shoved it waaaayyyy in there and we couldn’t even see it. I wish I had one of those that day! I’ve gotten a piece of those Mack’s waxy earplugs stuck down my ear canal. But, I’m not special needs and I could tell my mom that my ear was killing me. Rather than taking me to my regular doctor, she hauled me to my ENT because she knew that if it was painful for me at 10 years old, it was really bad and she’d rather have the right person looking. 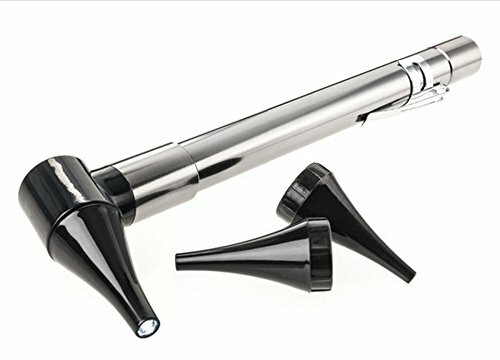 I’ve never been fond of going to the ENT due to severe ear infections and three surgeries (even now, I still wince and I have to fight the urge to pull back when doctors look in my ears) but when he told me he was going to use a little vacuum to get whatever it was out, I almost passed out in sheer panic. But, they did the usual: wrapped me up in a sheet so I couldn’t move, laid me out on the table where I was mostly calm and able to hold still but crying and shaking from sobbing, he stuck this teeny vacuum down my ear canal and pulled out this now-moldy ear plug piece. So much ew involved. But dear lord, did I feel better. Immediate relief but he still put me on antibiotics due to the mold growth (EW! total TMI!). So I can only imagine how those must have felt being stuck down there. And it makes me cry for her since she couldn’t tell you how painful it was (and I’m sure it was extremely painful). Poor girl, glad you got it out and there wasn’t any lasting damage! I don’t think she was in a ton of pain, at least not at first. They weren’t too far in, thank goodness, just at the edge of things. My Kiddo used to stick stuff (like pieces of a Nurf basketball) up his nose. We didn’t notice it the first time it happened because it was spring and his allergies were kicking up so when he kept sniffing, we chalked it up to Rose Fever. Soon there was a weird odor and we thought he had some sort of sinus infection & brought him to the pediatrician. It was the damn Nerf Basketball, part of the game my boys got for Christmas from their Uncle E. Doc took it out…in pieces and Kiddo cooperated…..and rinsed his nose out with a salt water solution. After, we banned the Nerf, in all it’s forms, from the house. I have a pair of alligator tweezers, a pencil flashlight and a nasal speculum after ANOTHER incident (I got to be pretty good at removing stuff from the nose). They’re in a ziplock bag, in my junk drawer in the kitchen waiting. It’s been years since we needed them…..but ya never know! Happy it worked out for you and Marua…..sigh….it never ends. Never. Ends. Yikes! Don’t you just want to kick yourself when you realize how easy the solution was if you only thought of it sooner! I haven’t had ear issues with my son, but he frequently has sores in his mouth. Eating has never been easy, but when meals last longer than an hour and brushing teeth is a screaming battle, I know I have to check. Duh, what was I thinking? I know the relief you must feel when problems are solved, or at least identified!